What are the really big things we can do that will change the world - beyond making great products and services that we’re trying to sell? Roland introduces Naveen Jain on the stage at his War Room Mastermind. Naveen is an entrepreneur and philanthropist driven to solve the world's biggest challenges through innovation. The founder of Moon Express, World Innovation Institute, iNome, TalentWise, Intelius, and Infospace, Naveen sees beyond the current business and technological landscape, creating companies that make a true impact. Naveen's extraordinary perspective is something that will inspire you to think bigger and his insight provides a rare understanding of business. • Why a FOR-Profit endeavor is a better model than a NON-Profit. • How an audacious goal attracts both extraordinary people and Investors, which in turn breeds success. Thanks so much for joining us this week. 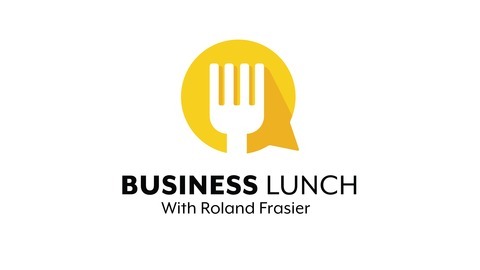 Want to subscribe to Business Lunch with Roland Frasier? Have some feedback you’d like to share? Connect with us on ApplePodcasts and leave us a review! iTunes Not your Thing? 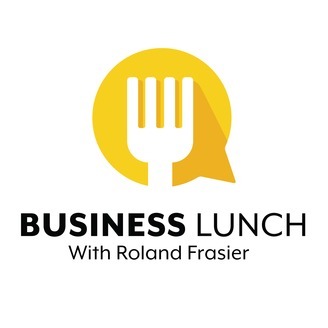 Visit us at www.BusinessLunchPodcast.com or find us on Spotify or Stitcher.